Choose from a variety of types - versitol for more than you think - or get the sampler pack that comes with all of them. Be sure to check out the blog to get recipes! The specially blended spices are perfect for any meal. Full flavor, you will never guess they are SUGAR FREE, SALT FREE, GLUTEN FREE AND MSG FREE! 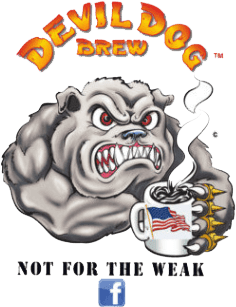 Infused with a blend of Devil Dog Dark Roasted coffees, it is a must have for everyone - not just coffee lovers!